The music has stopped at Muxtape.com, the free, online music site that allows users to create a playlist or mixtape of up to 12 songs and share the list with friends. It was temporarily shutdown as the Recording Industry Association of America (RIAA) flexed its copyright protecting musclea. The Manhattan-based startup has informed users that it "will be unavailable for a brief period while we sort out a problem with the RIAA." The RIAA has been cracking down on illegal sharing of copyrighted music on the Web for the past few years. Muxtape has previously said that it does not violate any copyright infringement laws because it is not an online service that allows consumers to illegally download music. It only allows users to listen to songs on the site. In fact, Muxtape recently launched a service that allowed users to buy music they discovered on the site at Amazon.com's music store. 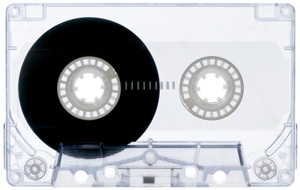 However, computer hackers have been finding ways to make unauthorized copies of songs from Muxtape. More at Crain's New York Business here. The Manhattan-based startup has informed users that it \"will be unavailable for a brief period while we sort out a problem with the RIAA.\"